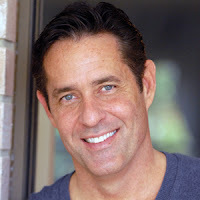 David Powers King: Special Guest Post: Revival: How A Tenor Lost His Voice But Found His Calling, with Mark Koopmans! 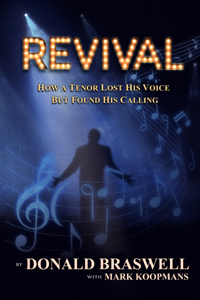 Special Guest Post: Revival: How A Tenor Lost His Voice But Found His Calling, with Mark Koopmans! Hey guys! It looks like I goofed. 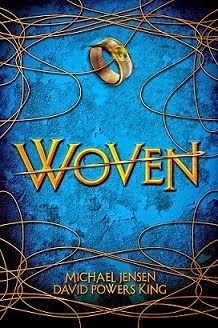 I had the blog booked for a special guest to take over and tell us about the process of getting this beauty published. 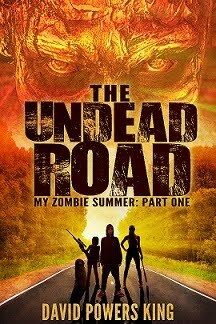 I'd rather not step on a special guest's toes, so the Undead Road cover reveal and contest is postponed until next Wednesday. 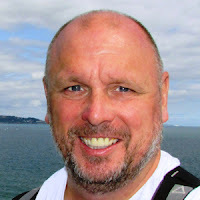 Mark is a one of a kind star in the Blogosphere, and a terrific friend. So it is a great pleasure to share his debut publication about America's Got Talent's Donald Braswell! Watch this amazing audition clip from the show. Now take it away, Mark! Today, I dip my sword, throw my gauntlet and offer thanks to you, Sir David, for having me a-round the table today. Dave asked about the timeline of my new book, REVIVAL – The Donald Braswell Story. I only hope the answer won’t scare new writers: From idea to publishing took about six years. I first saw Donald during the 2008 season of America’s Got Talent. I reached out, and we eventually met in 2009. 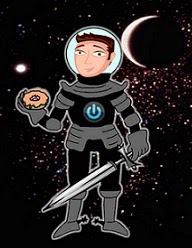 Within several months, we nearly sold the unfinished book to one of the larger publishing houses, but as faith (or as Roland the Gunslinger calls it, “ka”) would have it, that deal and the only agent we ever had, fell through. For about a year the whole project stalled, but I couldn’t let the book die. I truly believe that Donald’s journey is one of the most inspirational stories I’ve ever heard. So in 2011, we jumped back on the wagon and I finished the first draft. In 2013, the project took a huge turn for the better, when friend and blogger, Michael Di Gesu agreed to read what was probably the fourth-eenth version. I ran this by Donald, who agreed, and off we went to the races to basically rewrite the entire manuscript. In early 2014, the ms was “too long,” according to multiple agents and publishers who rejected the manuscript, sometimes on spec. But then, in late 2014, came the wonderful email from our publisher, Duke Pennell, of Pen-L Publishing, who was intrigued by the proposal, liked the sample chapters and then loved the whole manuscript. And here we are in late 2015, one week after REVIVAL published. It was a crazy ride. 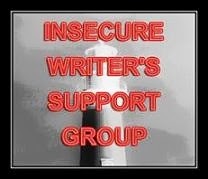 Any interesting bumps on your writing journey so far? Next up on the Blog Tour is Elise Fallson, who asked about the process of picking pictures for the memoir, and MJ Fifield, who’s curious about the challenges involved in memoir writing. It's crazy how long this whole process can take! it seems to take forever, doesn't it? But you kept the faith and it happened the way it was supposed to. Hooray for persistence. And the kindness of blogging friends. And for an amazing story. It is certainly an excellent book now Mark. Still wishing you every success. And the same for you Sir David. Sometimes all it takes is a shift in POV to make all the difference in a story. I'm looking forward to reading Revival, Mark! You're a great example of how important never giving up is to this business of writing. @Hilary: Yes, this memoir took such a long time, but I really believe that is was all God's timing! @L. Diane: Absolutely... I'm so grateful to Michael for taking the time to show me a new perspective. Man that process...It sure helps put it into perspective for the rest of us. Here I am trying to set a personal goal of writing one book a year...And finding myself sufficiently burning out (while juggling a second career, of course). Way to go Mark! Good for you, having such staying power! You had a great idea at the heart of it, i believe that's why you were able to succeed, no matter how long it took others to realize it. Idea to publishing only took 6 years? I'm so jealous. It's been more like 15 for me, and I'm still working towards the publishing bit. Gosh, I love hearing stories like this. From crickets to shooting stars! Thank you for sharing. I love that Michael Gesu could spot a change that constructively, might improve a work. That kind of synergy is difficult to come by and wonderful when it happens unexpectedly.